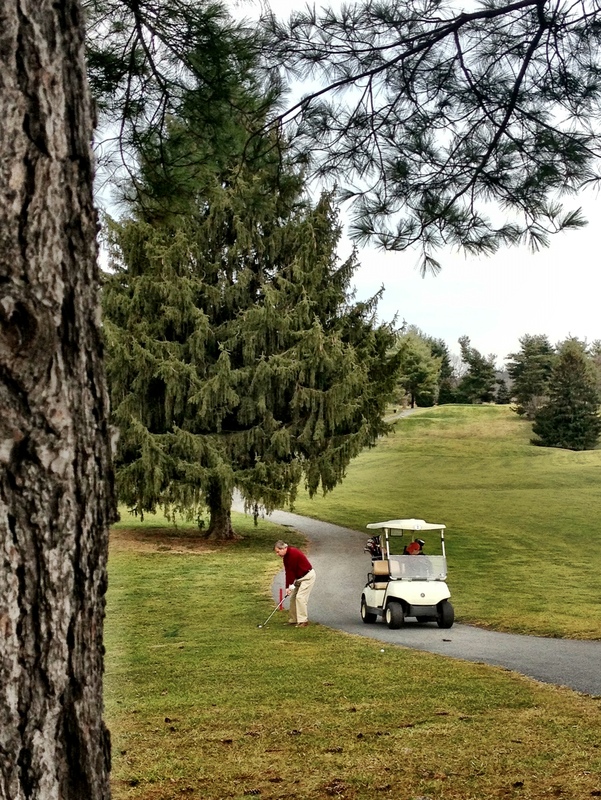 It’s not often we can play golf in the middle of winter in Virginia, but today was one of those rare days. With temperatures in the mid 60s, we took advantage of the break in the snow and cold for an outing at one of our favorite courses. I brought my Sony RX100 along in my pocket hoping for some peeks of sun, but after a few photos I received that dreaded message that my battery was dead. Thankfully, it was the iPhone to the rescue. With the clarity filter in Camera+, I still had some fun despite the gray skies and lack of light. It may not have been the ideal weather for making images, but to get outside and practice golf and photography at the same time in January made it a good day all around. This is fantastic with the iPhone. I never would have guessed. I have had lots of fun with the iPhone the past few years. It’s amazing with the cool Apps you can get. Camera+ is my favorite for the editing tools. Glad I had it yesterday when I made the classic mistake of not charging my camera battery…it’s on the charger as we speak! I agree, Camera + is awesome..chewing up unicorn bits. LOL!